On Saturday November 23rd, 2013 volunteers from Asbury, Farley, and Epworth Fire Departments joined the Centralia-Peosta FD for live fire training in a 5-bedroom / 2-story home located on Old Highway Road. The four jurisdictions teamed up to demonstrate interoperability on the fireground. Asbury provided their 2,500 gallon tanker and Farley brought in the air tank refilling trailer for the firefighter Self Contained Breathing Apparatus (SCBA). 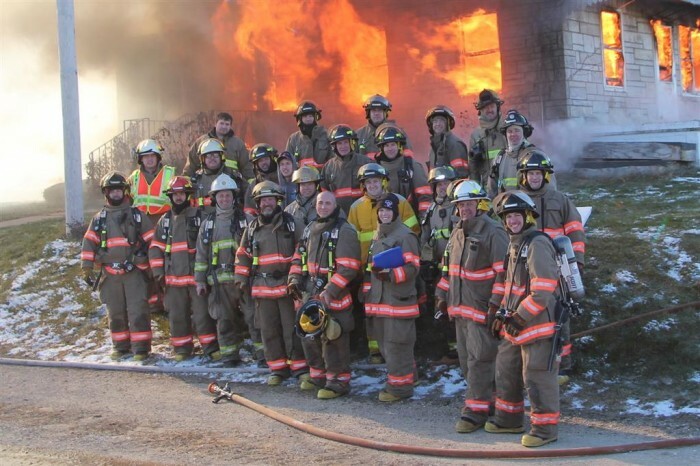 Special thanks to Rick Block of CPFD for the countless planning hours to make this safely happen and to Lead Instructor Lt. Jeff Sanderfield of the Dubuque Fire Department and his helper Brian McAuliffe of the Epworth Fire Department for providing the training. 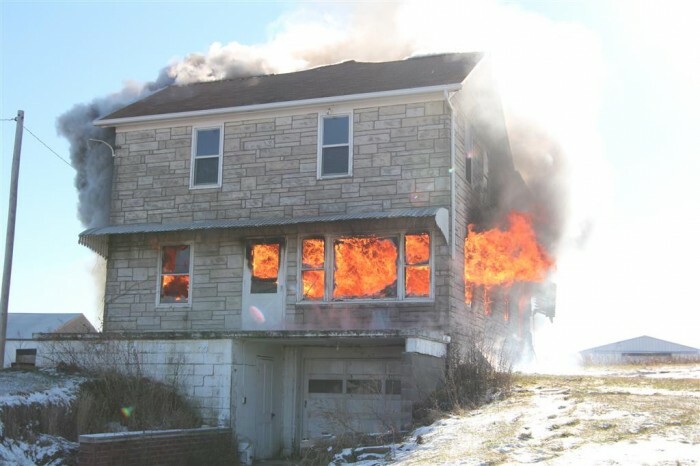 Jeff’s experience and superb instructional skills provided us all a realistic application of how a fire can evolve into a rollover (the stage of a structure fire when the hot combustible gases in a closed room can ignite). 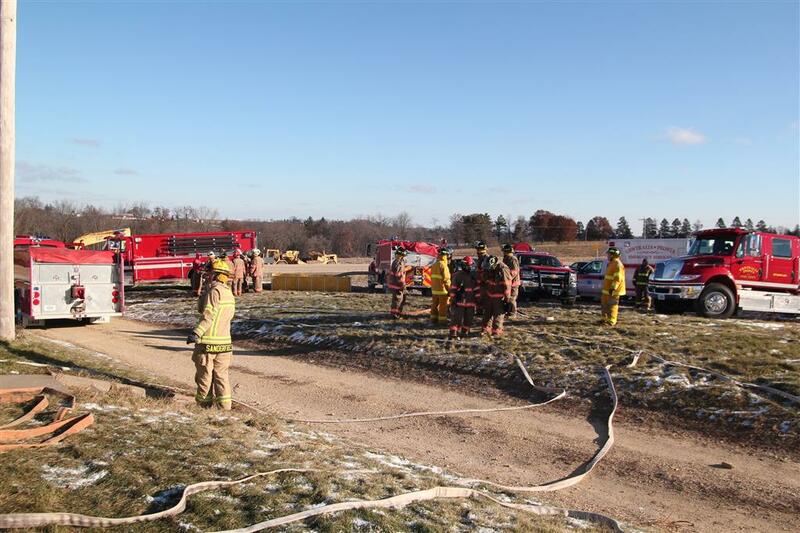 9:30 AM: The fireground is established – all equipment setup and personnel accounted for prior to starting the first burn. Two smaller rooms were used for demonstrating rollover. 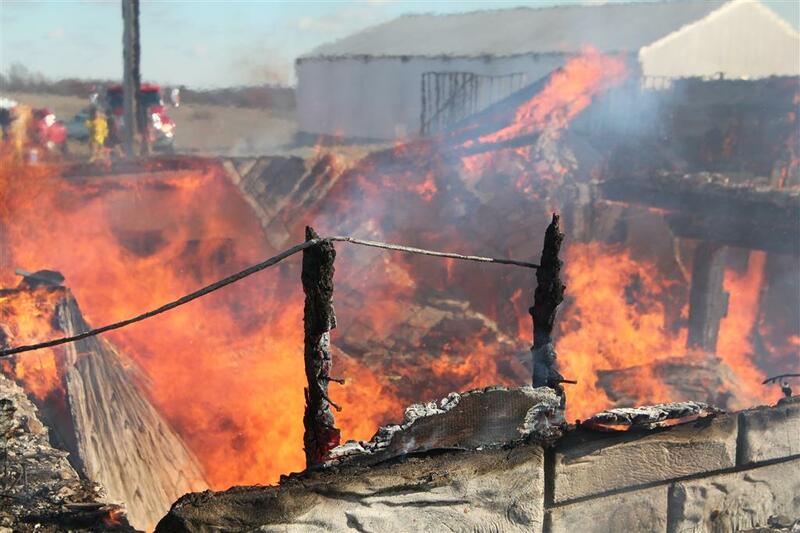 Wood pallets and hay were used for fueling the training fires. 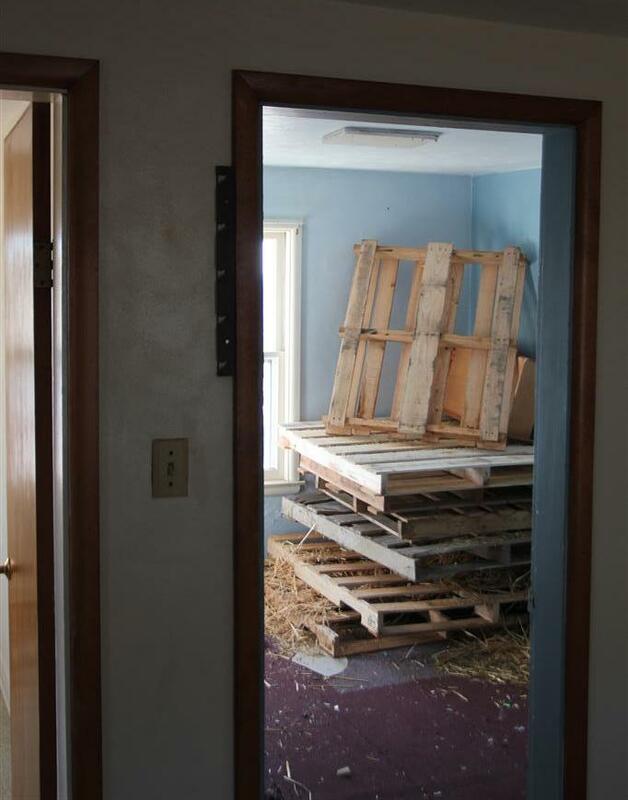 Extra pallets were kept outside of the rooms to refuel the fire, allowing multiple attack teams to reuse the rooms several times through the morning. 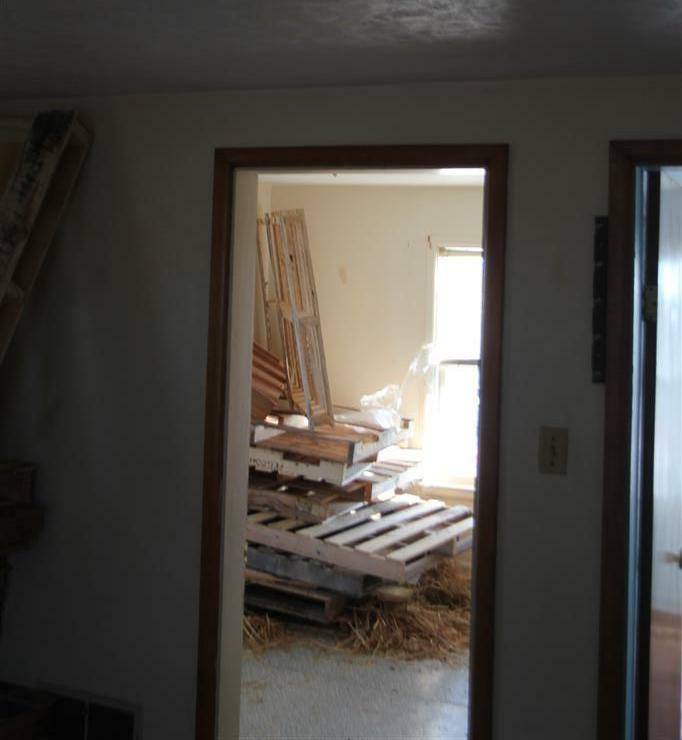 10:00 AM: The pallets and hay in the first room are lit for the training. 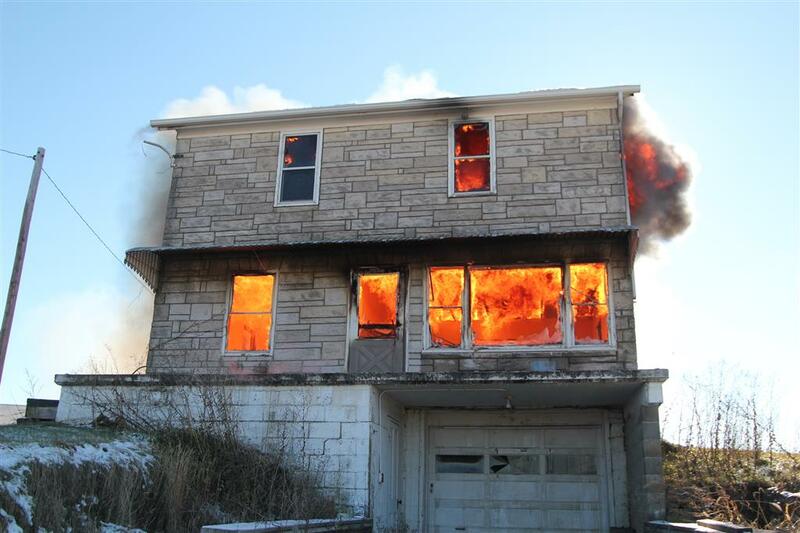 The first attack team goes into the structure, with the backup team at near the front door. Each team rotated throughout the course of the exercise. For the next 1.5 hrs, multiple teams cycled through studying rollover in the two upstairs bedrooms and the main family room downstairs. 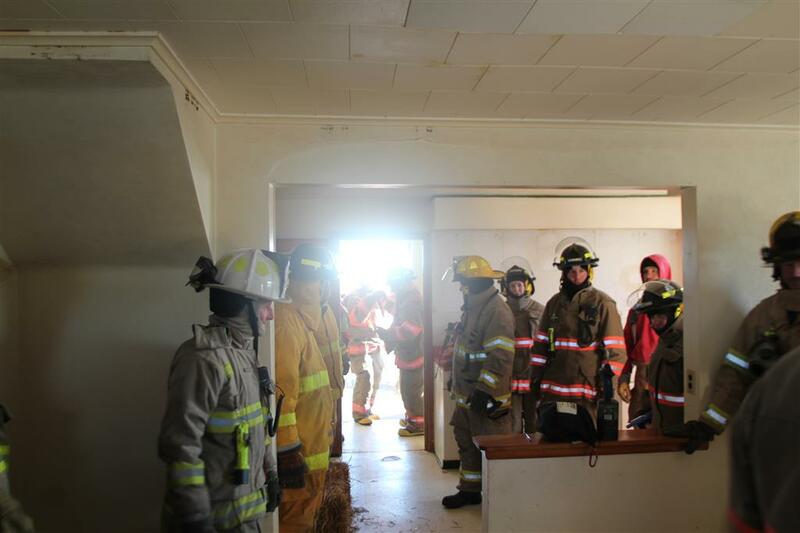 The bedrooms upstairs were fully extinguished prior to moving the training downstairs. 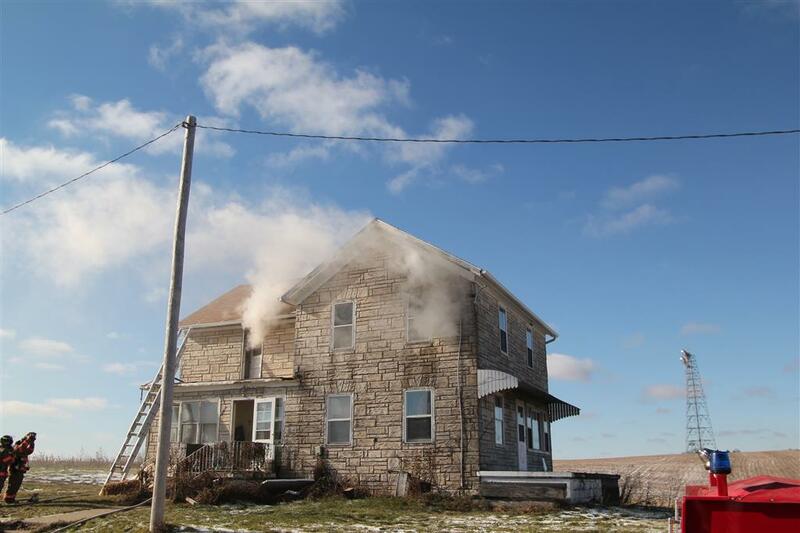 12:15 PM: All teams evacuated the structure to allow the fire to build in the living room. 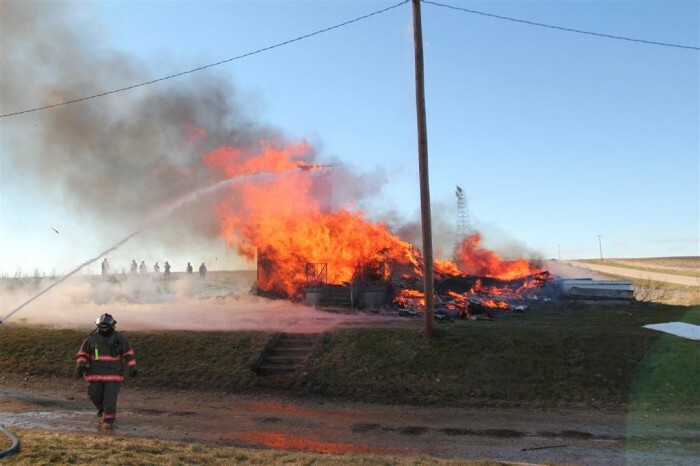 High heat caused the large front window to breach, allowing the northwest wind to enter the structure and accelerate the fire. 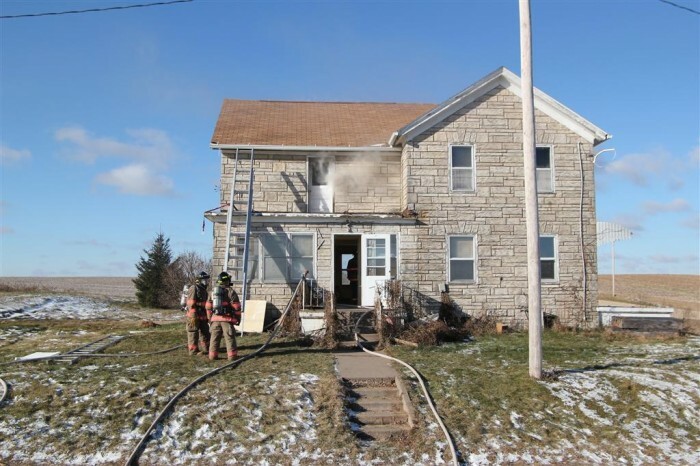 Within minutes, the fire consumed the entire room and two adjoining rooms. 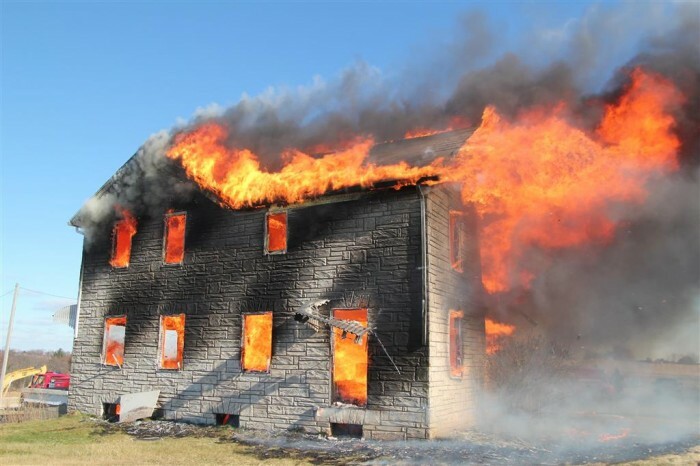 Here you can see clearly that all ceiling tiles are missing and the upstairs floor joists are completely engulfed by fire. 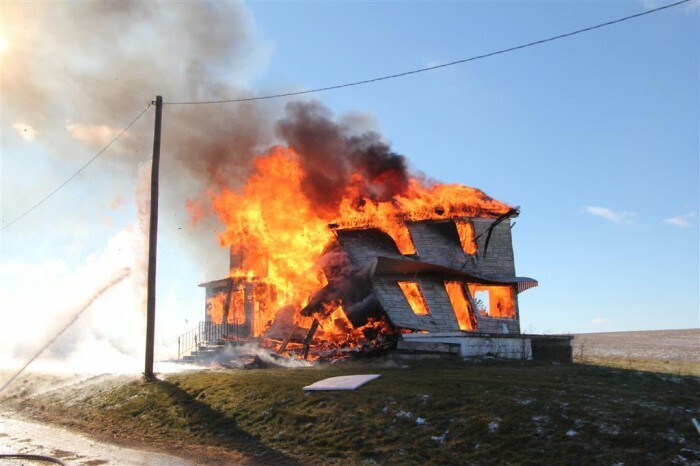 12:36 PM: the entire house from basement through attic was fully consumed. This picture was taken 21 minutes after permitting the living room fire to take over. 12:42 PM: The structural integrity yielded with the loss of the second story floor joists and trusses in the attic, resulting in the cave-in of the northeast corner. 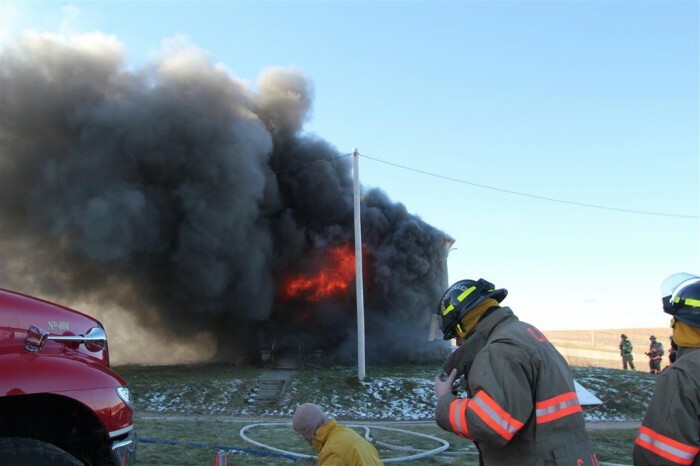 12:46 PM: Four minutes later, the majority of the structure collapsed into the basement. 12:52 PM: The southeast corner is still standing 37 minutes after the living room burn. 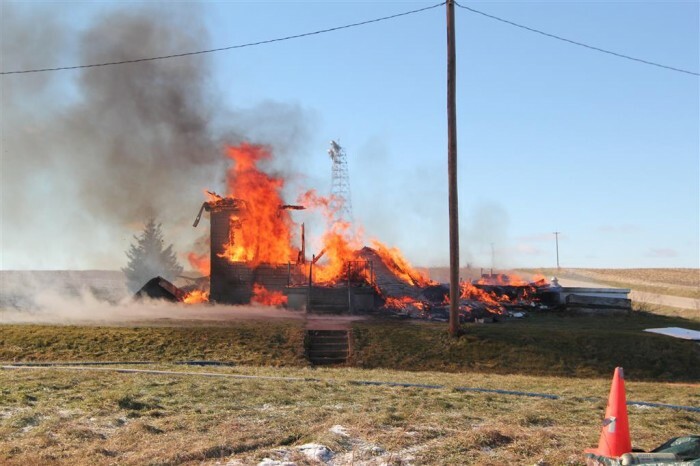 1:04 PM: A large pile of burning rubble in the basement is all that remains. 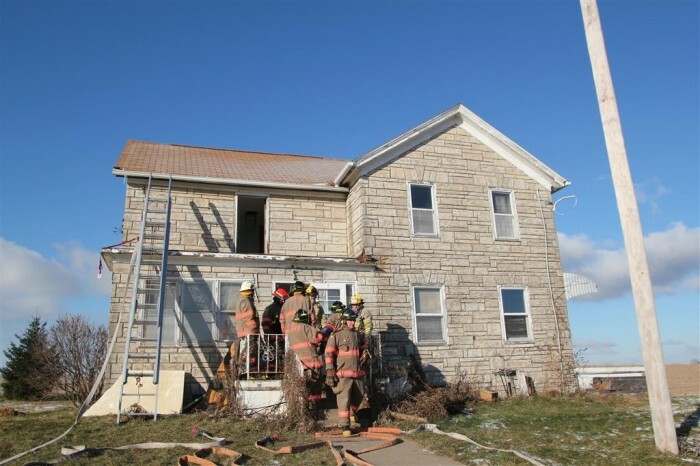 Thank you to the landowner for the use of this house and to all that participated in the safe execution of this training exercise. Want to learn more? See what it was like inside the house during training.